Zombie Mage follows Olligh who is a Walker on a quest to remember who he is. What was the initial idea behind this story and how did that transform as you were writing the novel? I remember once being told that we’re just like plants. We eventually wither and die whereupon we basically feed the earth and maggots with our juicy remains. Nice, eh? Something to look forward to then! I was also duly informed that there’s nothing special about us, we don’t come back and there’s certainly no afterlife in any form. This was certainly an interesting perspective on death; I suppose the person I was speaking to had no religious (or spiritual) beliefs and therefore deemed death to be one final kick in the groin before the earth and its elements consumed him. On that note, I mulled over these words with much interest and decided that, ultimately, there must be more to it. Something deep inside of me certainly didn’t agree with that rather blinkered opinion of a desolate death. In fact, this whole debate over death inspired me to write Zombie Mage. Death is certainly something that is unavoidable and definitely not desirable although to some degree this probably also depends on how you die. But, rather than worry about this eventuality, is it best not to think of it as an exciting, new adventure into the unknown? Or, if that sounds overly positive and verging on the ridiculous, how about, at the very least, accepting death, being mindful of it and certainly not despairing over it? For Olligh Selthnik, death has a whole new meaning and certainly isn’t how he imagined it. I’m quite a spiritual person and like to think there is more to life than merely these slabs of meat we walk around in. I’m hoping the book will provoke thought into this as well as entertain. I had a fun time reading this story because there were so many colorful zombies in it. How do you capture the thoughts and emotions of a zombie? In Zombie Mage, zombies are still people, albeit perhaps missing a few vitals. I suppose if I asked you how would you react if you died and somehow returned to existence but your skin was rotten and strewn with black veins and bulbous blisters or you discovered you were missing an arm or a leg (not to mention terrible breath), how would you cope? Ultimately you’re still alive and you still have to deal with it. So, creating the colourful characters that exist in Zombie Mage was fairly easy (and the most fun part). They’re just people making the most out of a bad time. Olligh is a character that I enjoyed watching change over time. What were the driving ideals behind the characters development throughout the story? Olligh has quite a raw deal and the more he finds out about himself, the darker his situation becomes. 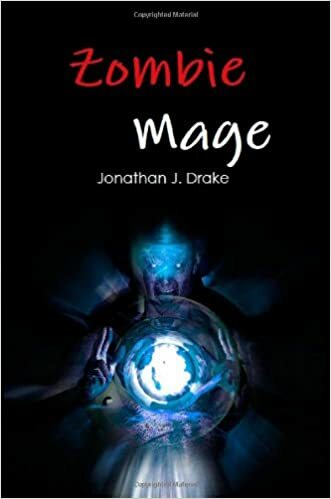 The most difficult part of writing Zombie Mage was the beginning; trying to piece his past together and explain the situation whilst also trying to help the reader feel his frustrations. You confessed yourself that you found it difficult in the beginning to understand what was going on. This is certainly how Olligh would’ve also felt; such is the desolate, chaotic nature of his new life. I tried to imagine how I would feel in Olligh’s predicament and what I would do once I began to piece together my past. And, of course, putting the pieces together allowed me to transform Olligh’s journey in many weird and wonderful ways. 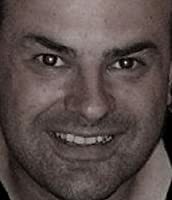 Lara, his wife, was also an important addition to the story which helped mould Olligh’s character. Without that spark of love and real feeling there would be very little light in the ensuring, desperate darkness. And finally, friendship; it’s something we all need and thrive on. I like to think that during his journey, Olligh discovered some new friends that helped him get through his turmoil. Like you, Marvin was my favourite character as well. It’s been a while but I’m currently working on Zombie Mage 2 as the original ending left much opportunity to carry on the adventure. Expect some old faces and some new. The Dark Cloaks will be returning with a new High Warden, that’s a sure thing. I’m hoping to finish and release it later this year. Only 9k words so far so I’ve got a fair bit to go. Life isn’t too grand for Olligh Selthnik. When he awakens, all he can remember is his name. With his memory vague, and now having to live life in a decrepit body, he doesn’t envision things could get much worse. Join Olligh as he begins his journey on a quest for knowledge. A horrifying adventure of intrigue and deception awaits but, will he find the answers (and the soap) he so dearly requires? With black humour from the off, prepare to be taken on a ghastly, stench-ridden journey into the unknown. This is Jonathan’s first book edging on the darker side of fantasy and, as such, it may not be suitable for children.